Weight: 200gram including 15gram unknown charge. 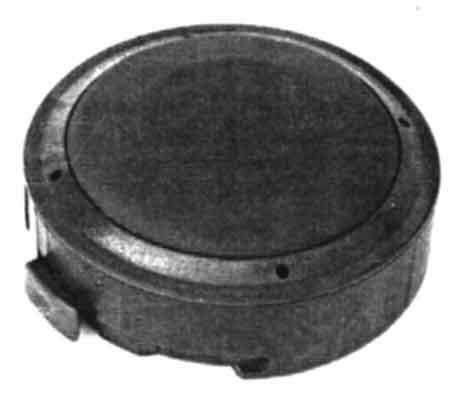 The VS-MK2-EL is the electronic version of the VS-MK2 antipersonnel mine. The two mines are externally similar and may be laid in the same minefield. However, the VS-MK2 is a simple pressure fuzed mine while the VS-MK2-EL fuze will function in both a pressure mode and as an anti-removal device. The VS-MK2-ELs electronic anti-removal fuze can also be remotely turned on and off. The mine is OD green.